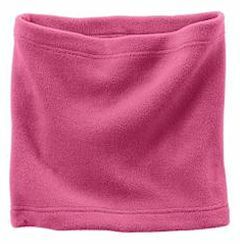 Custom embroidered fleece blankets, neck gaiters and fleece scarves. Port Authority travel blanket and lush fleece scarves. Variety of colors to choose from. Custom embroidered with your logo! 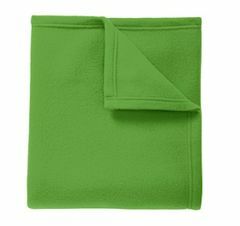 Logos typically embroidered on the corner edge of the blanket. Size 4" wide X 3.50" tall. May request larger size at additional cost. 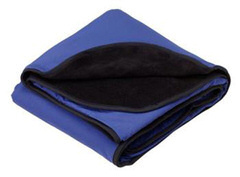 Custom embroidered Port Authority ® - Fleece and Nylon Travel Blanket. #TB850. 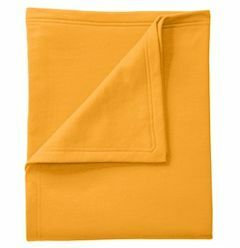 A water-resistant backing makes this warm fleece blanket the perfect choice for picnics, tailgating and outdoor events. 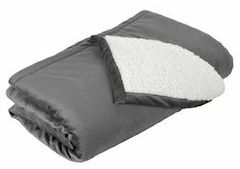 11-ounce, 100% polyester fleece, 100% polyester woven backing. Attached elastic band to secure the rolled up blanket. Port Pocket T for easy embroidery access. 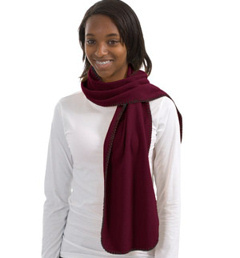 Dimensions: 50" x 60"
Port Authority ® - R-Tek ® Fleece Scarf. FS01. Port Authority ® - R-Tek ® Fleece Scarf. FS01. Our unique filament custom embroidered fleece scarf offers lightweight warmth while contrast blanket stitching adds a playful touch. 13-ounce, 100% filament polyester R-Tek fleece , Anti-pill finish for lasting wear , Dimensions: 56" x 10", Custom embroidery included, 4" wide X 3.50 tall. May request larger size at additional cost. Custom embroidery included, 4" wide X 3.50 tall May request larger size at additional cost.